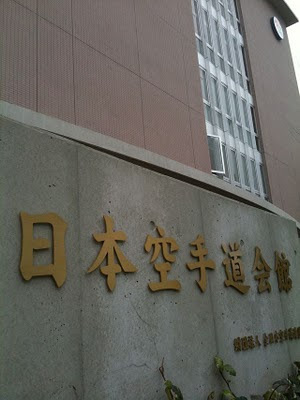 The Karate Kaikan (assembly hall) opened last November. 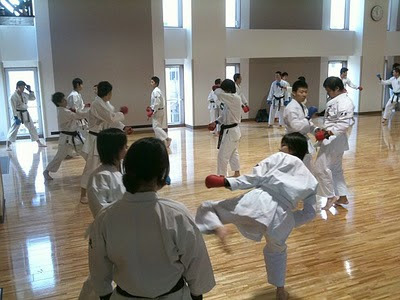 On Sunday I visited it with the high school karate club students. 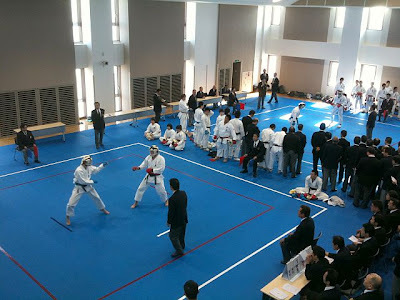 There was a Kanto region Official's seminar to explain the changes in the WKF rules. 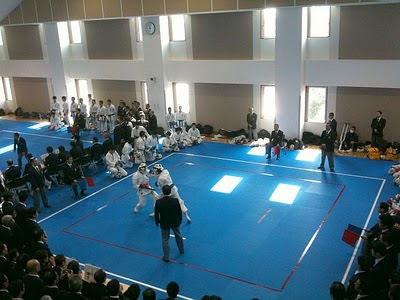 The students fought kumite matches with other high school students so that the officials could practice their officiating skills. 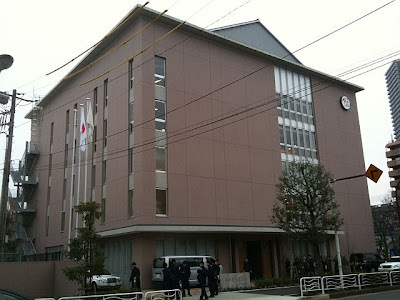 The kaikan is very functional, with two large dojo, meeting rooms and changing rooms. The big dojo is on the fourth floor. It is shaped like an L.　It can hold 3 karate rings. 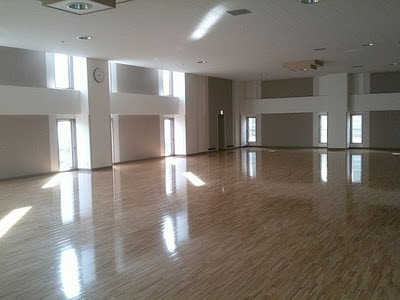 The middle size dojo is on the 2nd floor. It can probably hold 2 rings. The students warming up in the middle dojo in the morning. 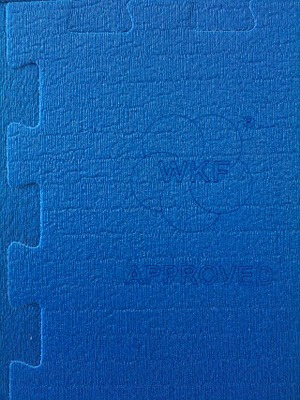 The mats were official WKF mats. They are thicker than the regular mats in Japan. 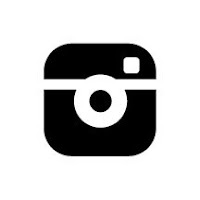 Also the other side is red. All done! 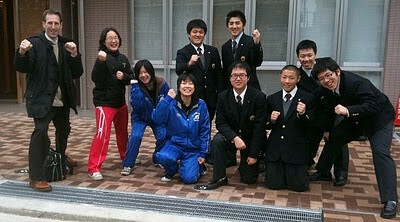 One Teikyo student joined our group for the day too! The closest subway station is Tatsumi, on the Yurakucho line.